New Delhi: A host of Bollywood celebrities like Aishwarya Rai Bachchan, Aditi Rao Hydari, Malaika Arora and Arjun Kapoor graced the red carpet for Femina Beauty Awards 2018, held at JW Mariott hotel on Thursday. The celebrities were seen dressed up in their best and added a glam quotient to the event with their charm and persona. Check out their pictures from the event. 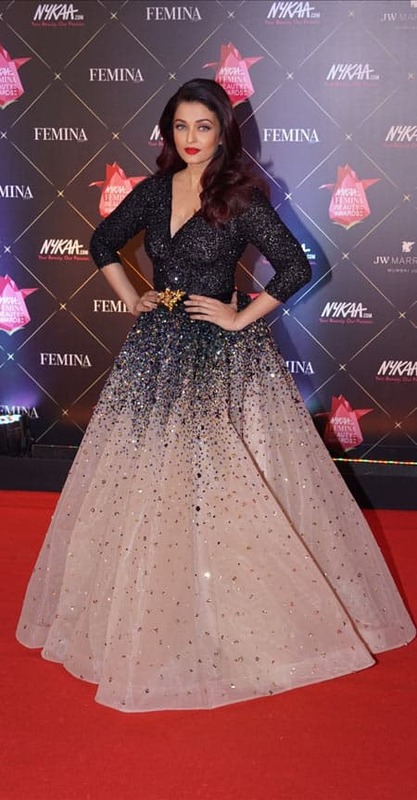 New Delhi: A host of Bollywood celebrities like Aishwarya Rai Bachchan, Aditi Rao Hydari, Malaika Arora and Arjun Kapoor graced the red carpet for Femina Beauty Awards 2018, held at JW Mariott hotel on Thursday. The celebrities were seen dressed up in their best and added a glam quotient to the event with their charm and persona. Check out their pictures from the event. Aishwarya Rai Bachchan at the Femina Beauty Awards. Actress Rekha at the Femina Beauty Awards. Actress Evelyn Sharma at the Femina Beauty Awards. Actress Malaika Arora at the Femina Beauty Awards 2018. Actor Arjun Kapoor at the Femina Beauty Awards 2018. Actress Surveen Chawla at the Femina Beauty Awards 2018. Actress Neetu Chandra at the Femina Beauty Awards 2018. Actress Aditi Rao Hydari at the Femina Beauty Awards 2018. Actress Tara Sharma at the Femina Beauty Awards 2018. Actress Disha Patani at the Femina Beauty Awards 2018. Singer Neha Bhasin at the Femina Beauty Awards 2018. Actress Sangeeta Bijlani at the Femina Beauty Awards 2018. Actress Adah Khan at the Femina Beauty Awards 2018. Kriti Kharbanda at the Femina Beauty Awards. Actress Shama Sikander at the Femina Beauty Awards 2018. Actress Malavika Mohanan at the Femina Beauty Awards. 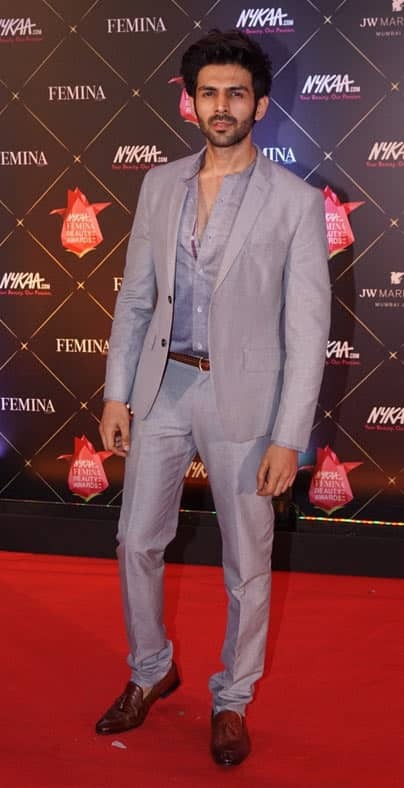 Actor Kartik Aaryan at the Femina Beauty Awards 2018. Actor Mustafa Burmawala at the Femina Beauty Awards 2018. 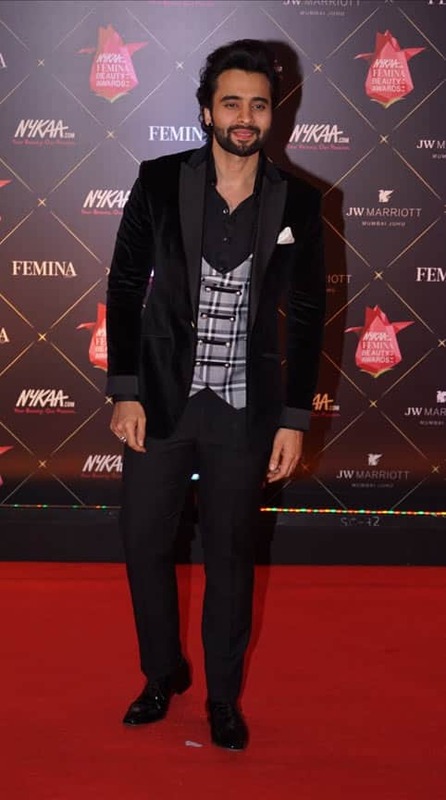 Actor Jackky Bhagnani at the Femina Beauty Awards 2018. Actress Kiara Advani at the Femina Beauty Awards 2018.